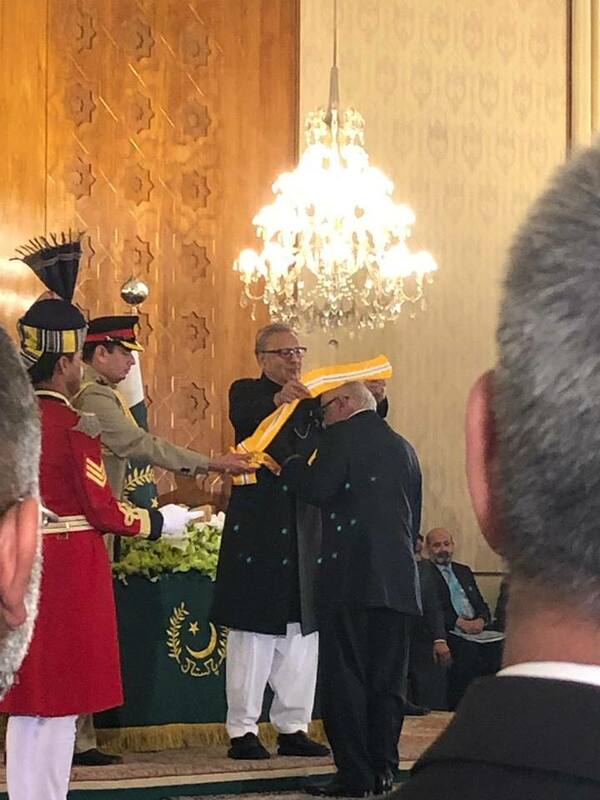 In an investiture ceremony to confer civil and military awards held at the Aiwan-e-Sadr in Islamabad on 23 March 2019 ,The President of Pakistan Mr. Arif Alvi conferred the Nishan-i-Imtiaz upon Chairman SRSO Mr. Shoaib Sultan Khan who is the 'father' of community mobilization, in recognition of his outstanding and selfless Public services in Pakistan and abroad. His unparalleled work and dedication to Pakistan has helped lift millions of people out of poverty. The Nishan-i-Imtiaz is the highest honour given to any civilian in Pakistan based on their achievements towards world recognition for Pakistan or an outstanding service for the country. Sitara-e-Imtiaz by the President of Pakistan in 1990. 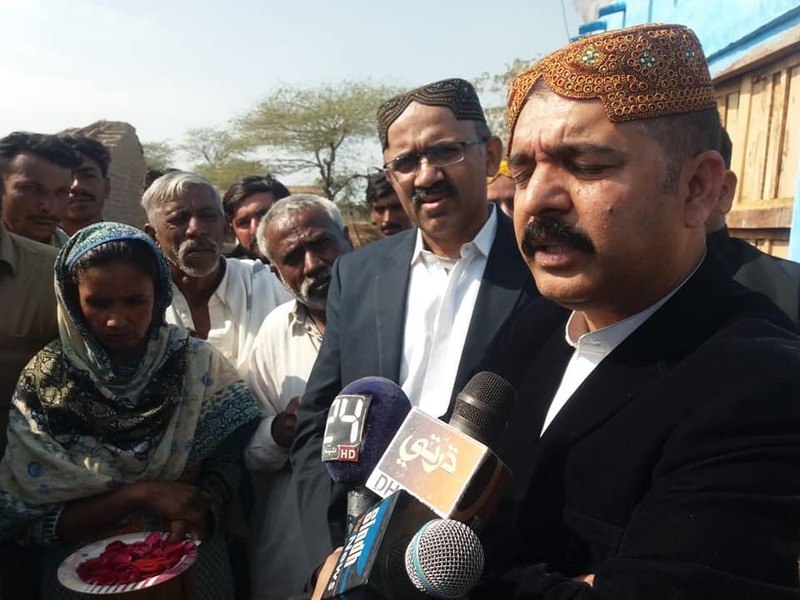 Mr. Munawar Wassan appreciated the efforts of SRSO under Peoples' Poverty Reduction Programme and assured to extend full support for community institutions. 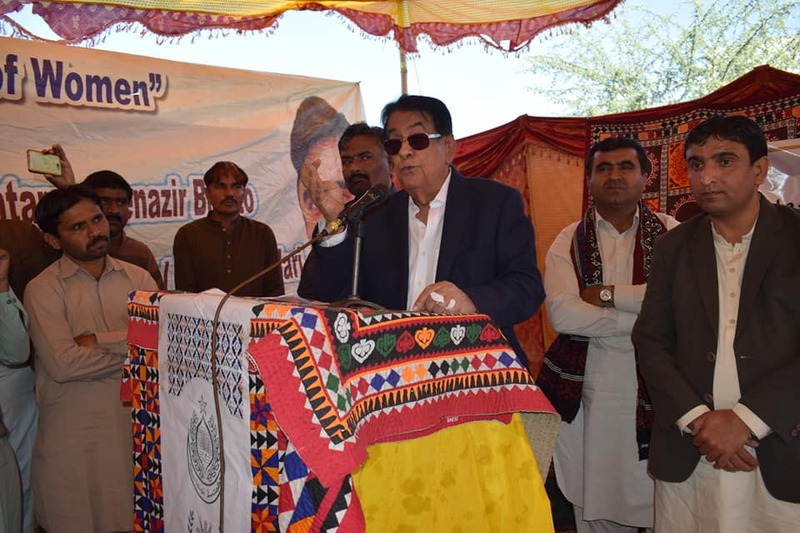 He also inaugurated the 11 Low Cost Houses in the village Qadir Bux khaskheli and distributed the cheques of Community Investment Fund(CIF) and Low Cost Houses among beneficiaries. An interactive Community based Managerial Activist Conference was organized by the Team of district Umerkot , to create liaisons in between Government line Departments and community organizations. More than 500 females members of COs/ VOs/ LSO including Community Activists and CRPs and 150 male community members also attended the Conference held on January 26, 2019 in the village Sabri and Union Council Faqeer Abdullah of district Umerkot. SRSO is providing opportunity to rural women and social activists to create linkages with local government authorities and elected representatives so that they are also informed about the community level initiatives, and are aware of their needs and plans. This will help establish a link between the local government and Community Institutions. This Conference was presided by Nawab Muhammad Yousaf Talpur (Member National Assembly). Mr Haq Nawaz Shar (ADC-1 District Umerkot), Mr Muhammad Baqa Palli (Vice Chairman- District Council Umerkot), Mr Nawab Muhammad Younas Talpur (Member District Council Umerkot), Local Government representatives including members of district and Union councils of Umerkot, representatives of civil society organizations , population welfare department, notables, electronic and print media and SRSO officials participated in Managerial Activist Conference. Representatives of COs/VOs/LSOs shared their experiences and success Stories under the interventions of Peoples' Poverty Reduction Program. Mr. Muhammad Yousuf Talpur appreciated the SRSO and Govt of Sindh interventions under the Peoples Poverty Reduction Programme (PPRP) implemented by the SRSO in the Six districts of Sindh and assured to extend full support from their offices for community institutions. The Activist Conference was organized under the Govt. 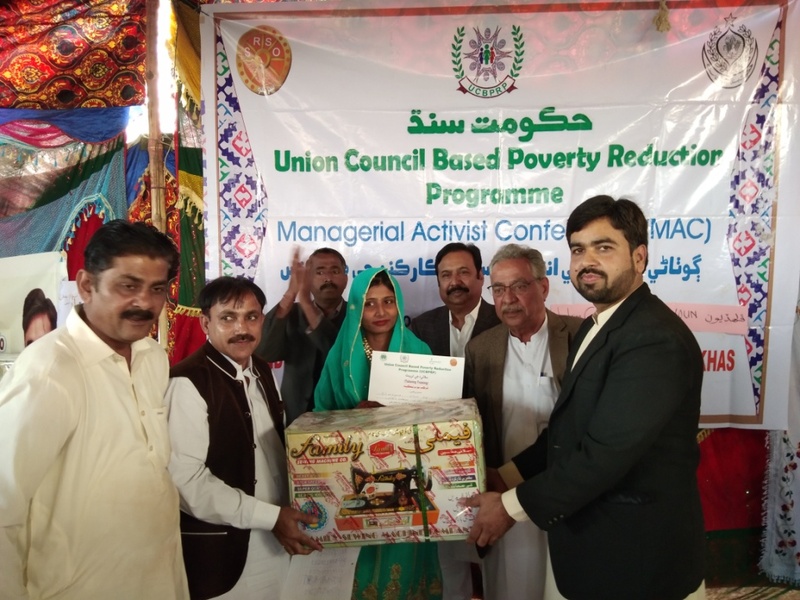 of Sindh funded Peoples' Poverty Reduction Programme. To empower women by providing them with a livelihood, Sewing Machines were distributed among 21 graduates of Tailoring Training. The event was organized in union council Phuladiyoon of taluka Sindhri and district Mirpurkhas. Mr. Lachhman Das Malhi (UC-Chairman of Phuladiyoon ) was the chief guest for the occasion and Mr. Madhu Mal (Social activist), Mr. Asad Shar (President of Press Club) and community members were also present. These 21 women are provided Tailoring training by the SRSO under the project "People's Poverty Reduction Programme" with the financial support of Govt. of Sindh with an aims to empower, restore and regenerate the status of women and their families through skills enhancement. The Three-day "6th Sartyoon Sang Crafts Exhibition 2019" concluded at Ocean Mall Clifton, Karachi. The three-day Sartyoon Sang Crafts Exhibition was organised by the Sindh Rural Support Organisation (SRSO) in collaboration with the Sindh Government and its partners displaying work of around 3,545 women artisans from the different districts of Sindh and aims to provide them with market linkages. 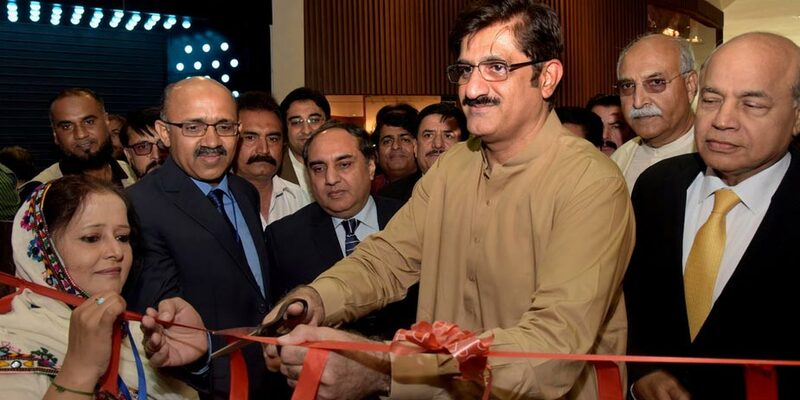 Sindh chief minister, Murad Ali Shah inaugurated the exhibition on Friday 04 January 2019 in Ocean mall Karachi.The chief Minister appreciated the endeavour of Sindh Rural Support Organizations for poor and destitute community and expecting in future to keep such spirit for rural communities of Sindh.Appreciating the exhibition, CM sindh said arranging such an activity to promote artisans, handicrafts and Sindh’s culture was a great effort being made by the SRSO also.He further said that artisans dedicate their entire lives to preparing masterpieces, but their work is never appreciated in urban centers, such as Karachi, “However, these activities will certainly bring the handicrafts of Sindh in the limelight, said Murad Ali Shah. All three-days (4, 5 and 6 January 2019) of the exhibition received an overwhelming response from local and international visitors. As many as 15 stalls were set up in the mall's main foyer that exhibit garments, Ajrak, furniture, decoration pieces, leather handbags, bed sheets and other traditional items. These colorful and captivating products was produced by thousands of rural women from different remote villages of Kashmore-Kandhkot, Shikarpur, Larkana, Qambar-Shahdadkot Jacobabad, Khairpur, Sukkur and other districts of Sindh. Visitors took keen interest in handmade household goods and other traditional products. The event also featured traditional folk dances. Thank You all our media partners and our Sponsors and Management of Ocean Mall for supporting us in such a great cause. A huge thank you to Buyers and Visitors, we look forward to seeing you at the next event. The Craft Exhibition is being organised by SRSO for the sixth year in consecutive with the motive to support ethical fashion and to promote crafts of some of the most marginalised women in the province. Sartyoon Sang Crafts is the social enterprise of Sindh Rural Support Organziation established with the vision to provide a market linkage to the disadvantaged artisans especially rural women by promoting their skills and crafts initially at regional level and then gradually at national and international level.